This book is written for those eager to see God use ordinary relationships and conversations between ordinary Christians to work extraordinary miracles in the lives of his people. Everyone needs help from time to time, especially in the midst of painful circumstances and difficult trials. In this short book, a highly respected biblical counselor and successful author offers practical guidance for all Christians - pastors and lay people alike - who want to develop their helping skills when it comes to walking alongside hurting people. 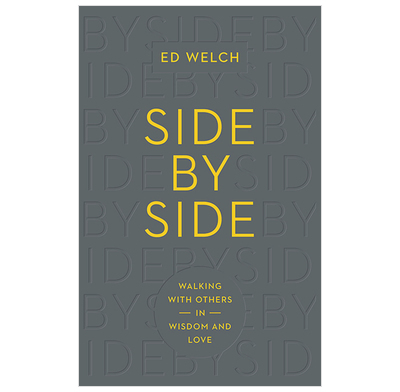 Written out of the conviction that friends are the best helpers, this accessible introduction to biblical counselling will equip believers to share their burdens with one another through gentle words of wisdom and kind acts of love. I love simple books that aren't simplistic. This is a terrific book about loving one another, about helping hurting people, about getting help as hurting people, about being a good neighbor, and about being the body of Christ. Our whole staff is reading the book this semester. The insights aren't new, but the reminders are extremely helpful and the points of application unusually practical and life giving.